Map: Presents data values on map. 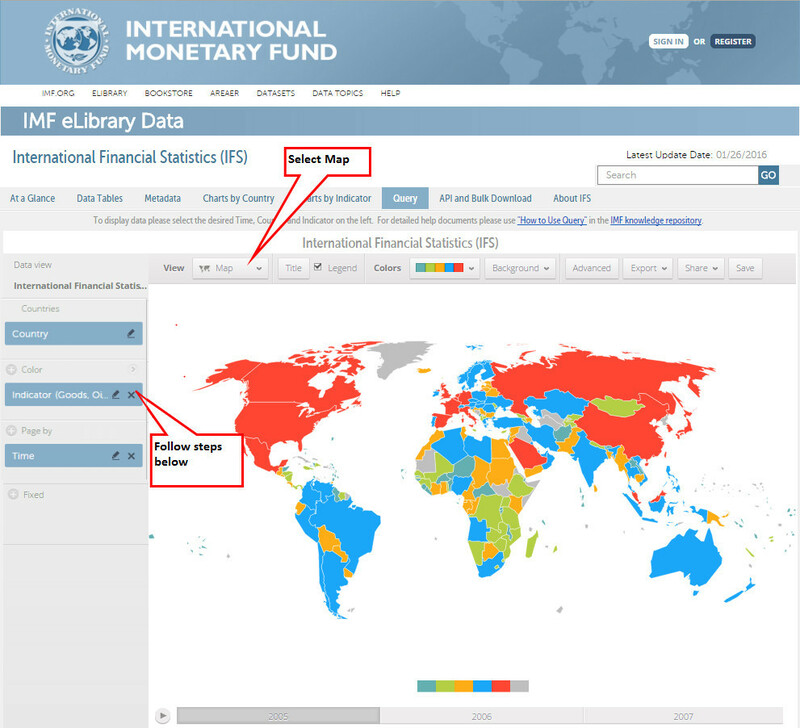 Map chart Instructions - The sample chart uses the International Financial Statistics dataset and presents countries' exports, f.o.b. data in 2005, 2006, and 2007. Users may follow the steps below to replicate the following map. Click on the plus sign next to Color and select Indicator. In the pop up dialogue box search for Goods, Value of Exports (FOB), US Dollars; select and click GO. From the pop up dialogue select 2005, 2006, and 2007. Click Apply and OK.